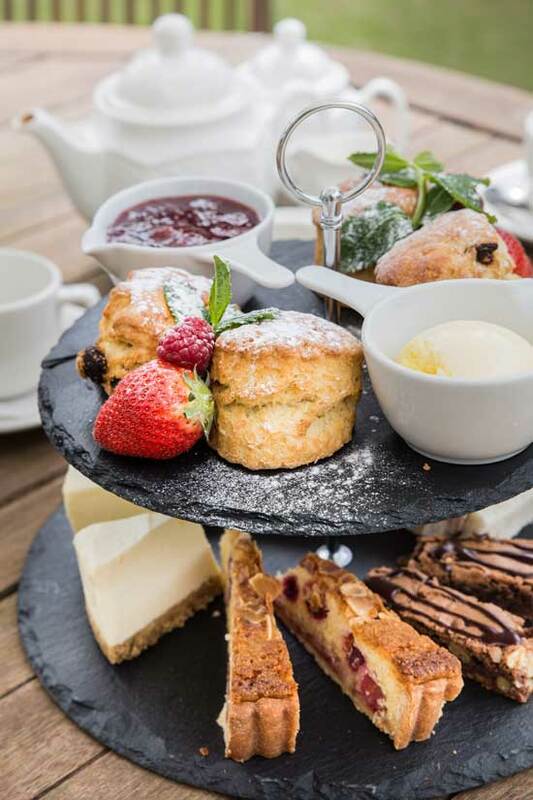 Enjoy afternoon tea and treats on our new garden decking. Afternoon treats are available throughout the year between 12noon and 5pm. Afternoon teas, cream teas, cakes and sandwiches are available. Please note the below menu is only a sample and is subject to change and availabilty. Reservations in advance are essential. A delicious variety of treats including Bakewell Tart, Chocolate Brownie, Meringues, Cornish Scone, Cornish Clotted Cream and Boddingtons Strawberry Jam. Assorted finger sandwiches to include fillings of Cream Cheese and Chive, Egg Mayonnaise and Watercress, Cucumber, Ham and Mustard. Along with your choice of Tea or Cafetiere Coffee.